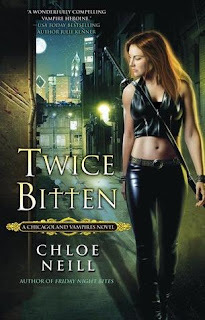 Shape shifters from across the country are convening in the Windy City, and as a gesture of peace, Master Vampire Ethan Sullivan has offered their leader a very special bodyguard: Merit, Chicago’s newest vampire. Merit is supposed to protect the Alpha, Gabriel Keene-and to spy for the vamps while she’s at it. Oh, and luckily Ethan’s offering some steamy, one-on-one combat training sessions to help her prepare for the mission. Anyway, besides the hotness…this was also the best so far as far as the action goes. Instead of a ton of vampire drama (although there is still that, of course)…we add in shifter drama. Merit and Ethan get in way over their heads and it is both exhilarating and hilarious to see them fight their way through the novel. Do yourself a favor and check this series out. If you like paranormal novels, have ever considered liking paranormal novels, or heck…if you know how to read – you will fall in love with these characters. Knew you would like this one too!! This is my fave of the series so far and is the book that made me Team Ethan! Sooo can't wait for the next one! Twice Bitten is one of those books that you need to put some time aside, so that you can read it all. My favorite in the series, too! And that ending? I was like Oh my god. I'm completely loving this series! Great review. glad to hear it! I enjoyed the first two, but the fact that the 3rd is even better makes me want to read it all the more. Thanks for the good review!